No need to wait till the next day to find out about traffic spikes or potential problems. Get updated stats in real time with MonsterInsights. Getting the analytics data you need at the right time is crucial in business. With MonsterInsights Google Analytics tracking, you’ll get real-time stats, so you can see how your website is doing right now. MonsterInsights customers have access to the much requested Real-Time report in MonsterInsights. When you view this report, you can see the results of your marketing campaign or product launch as it’s occurring. You can see the number of active visitors, top referral sources, top countries, and top pages right from the Real-time report. Since this report can impact Google Analytics API quota, we have it set to refresh every 60 seconds. Now there’s no need to wait till the next day to see if your blog post went viral, or if your big sale is going as planned. Instead, you can see exactly how your site is doing right now, at any time of day. 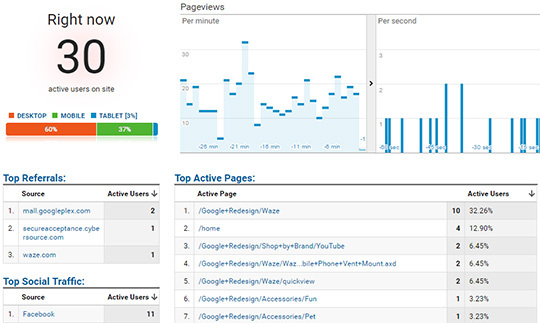 Real-time stats also ensure you can quickly identify and fix any problems that are losing you traffic. If you’re only getting data on a daily basis, you risk losing all that potential business. And most visitors won’t return to give your site a second chance. 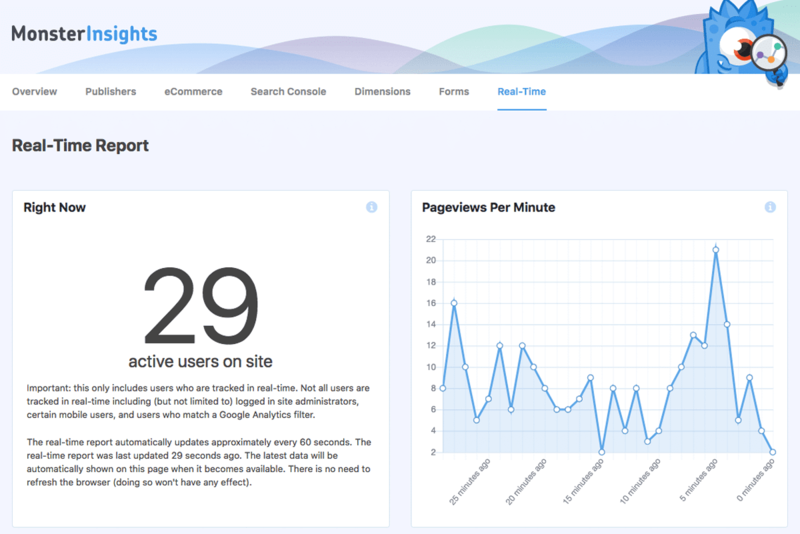 MonsterInsights makes analytics easy for WordPress.